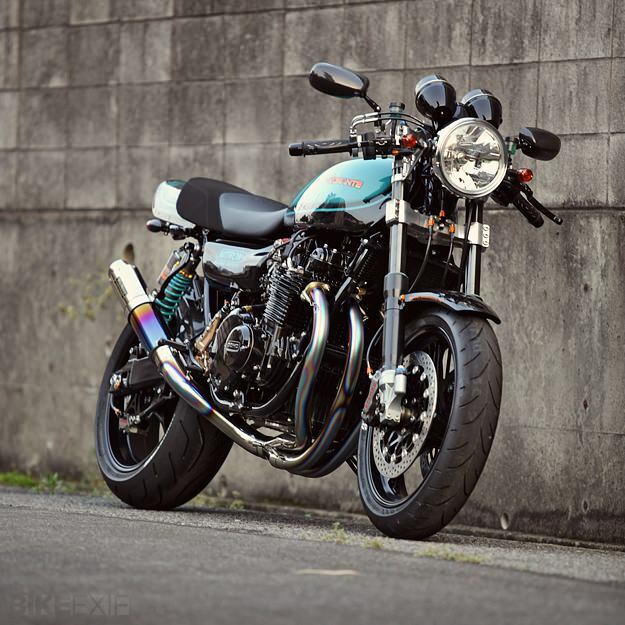 Back in 1974, the Kawasaki Z1 was the most exotic thing on two wheels. And nearly four decades later, it’s lost none of its lustre. 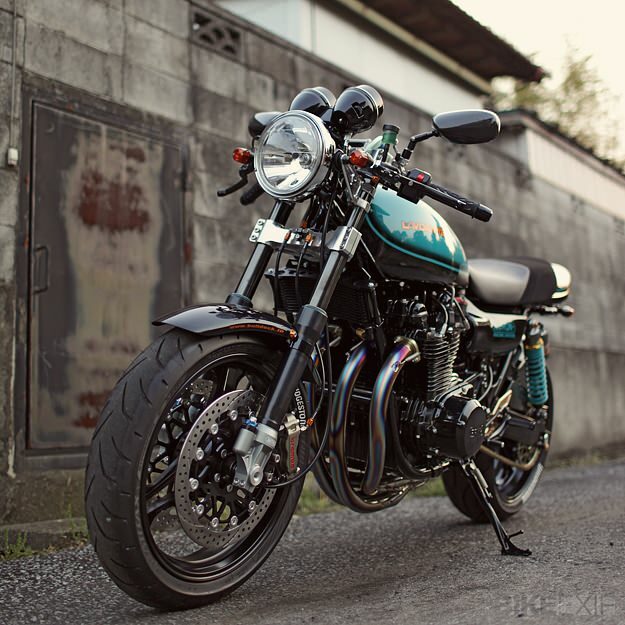 This high-performance custom is a collaboration between the Japanese workshop Bull Dock and the British suspension manufacturer Nitron—hence the paintjob in Nitron’s brand colors. 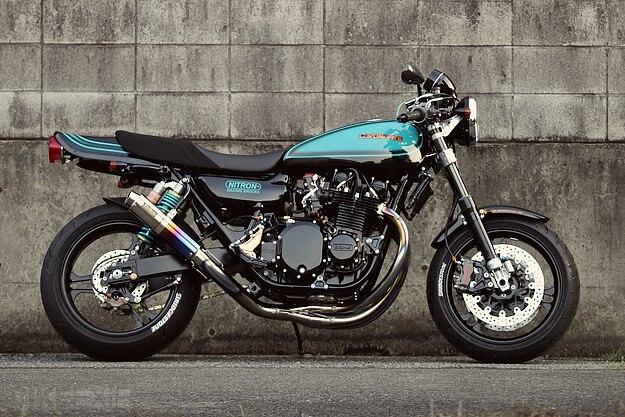 Showcased in Icon’s Limiter magazine, the Z1 is running full Nitron suspension front and rear, hooked up to Bull Dock’s own forged 80s-style ‘Lavorante’ wheels. They’re shod with sticky Bridgestone Battlax S20R rubber. 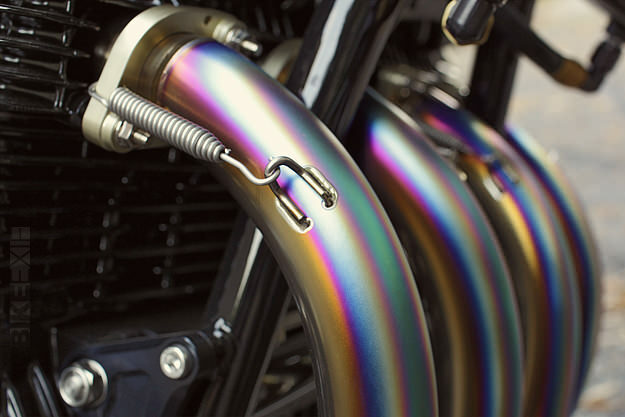 Other mods include an upgraded oil cooler and a custom aluminum tank. Handling is improved further with a reinforced frame, and the air-cooled 903 cc motor has been bored out to 1015cc. The blueprinted engine is also running Yoshimura ST-1 performance cams and Yoshimura-tweaked Keihin FCR-MJN35 carburetion. 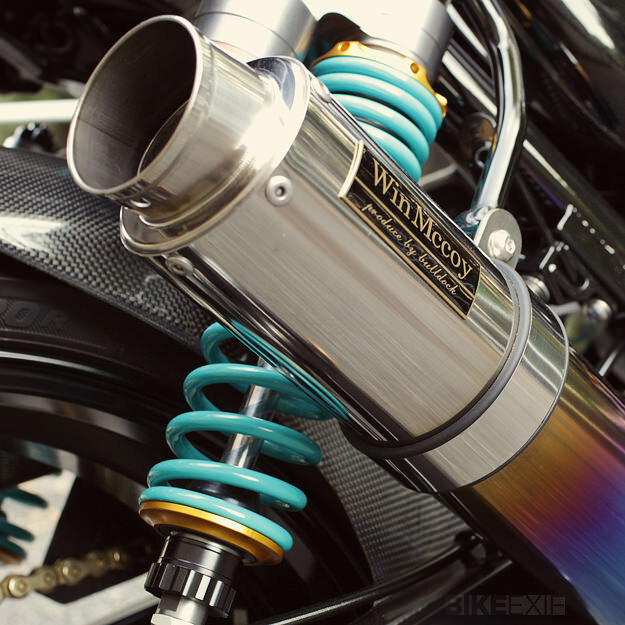 The full titanium exhaust, seat, foot controls and swingarm are all high-end custom parts, from Bull Dock’s own Win Mccoy brand. After all that, it’s reassuring to know that the braking system is a mix of Brembo and Sunstar components. 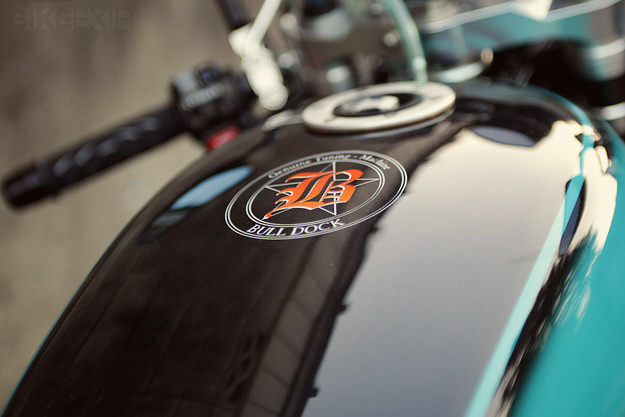 To see more of Bull Dock’s bikes—plus a swathe of other customs including Icon’s own twin Triumph Tiger 800XCs—grab yourself a free copy of the Icon Limiter print magazine here. With thanks to our occasional Japanese correspondents, photographer Kyle Drubek and Jason Fullington of AFG Moto.